Customer Project - Car Restoration! When customers do not find the right shape or form within our 4 step ordering process, our customers have the opportunity to contact us via the "Individual Request" button. In this particular case the customer requested a a trapezoid shape and slightly rounded corners. 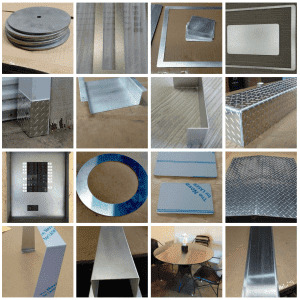 We found out that he will need the the custom cut steel sheet metal for a car restoration. 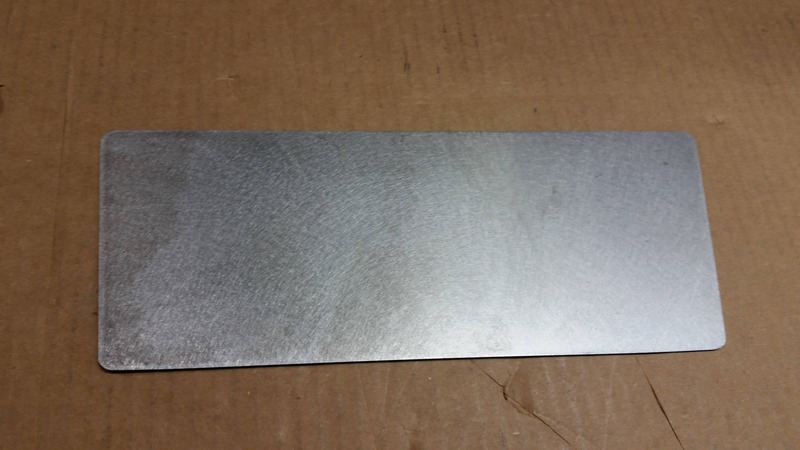 Carbon steel, 1/16" thickness, mill finish custom cut. The customer send us his drawing with the measurements, quoted him a price and then programmed it to be cut with our laser cutting machine. Here is what the final metal part looks. It took us only 2 days and then we shipped the metal part to our customer. If you can not find the right shape or form out our 14 standard offerings, you also can send us your drawing. We will be happy to give you a free quote.